Savvy Spending: Enter to win one of 2,500 Visa Gift Cards in the Butterfinger Super Boat Golden Gate Tailgate Sweeps! 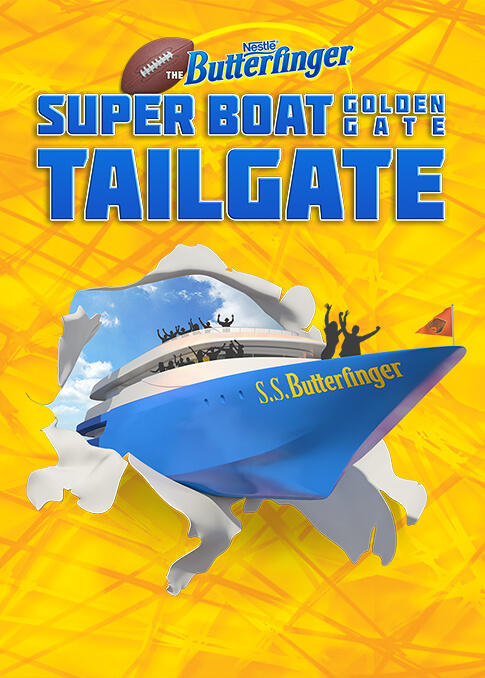 Enter to win one of 2,500 Visa Gift Cards in the Butterfinger Super Boat Golden Gate Tailgate Sweeps! Now through January 18th you can enter the Super Boat Golden Gate Tailgate Sweeps! They will be giving away a total of 2,500 $50 Visa gift cards plus more prizes!